Eggless Coconut Cookies - Brighten these holidays with these Delicious Eggles coconut cookies which are the right grip-and-like cookies. Super easy to make, crisp, and surprisingly addictive.Which is Elders and children will also like. 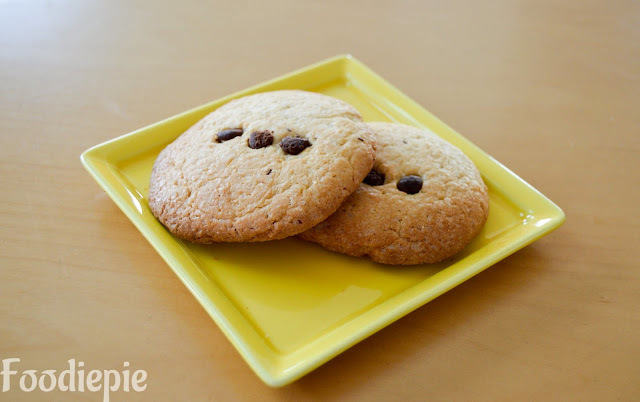 Eggless Coconut Cookies is very simple to prepare at home .These delicious cookies use only a small amount of ingredients and can be completely added to your evening tea or coffee. Whatever you bite will only melt in your mouth and will awaken your taste buds. All thanks to the secret ingredient - desiccated coconut,butter,sugar,flour etc.Let's checkout recipe first. Step 1 : Add the butter in a large pot. Put the Sugar in it and stir well until the mixture becomes smooth. Step 2 : Mixing baking powder in the flour, filter out the flour twice in a vessel so that flour and baking powder are mixed well. Step 3 : Put flour and coconut powder in a mixture of butter and sugar, mix well and knead it like flour. If the mixture looks more dry, then 1 or 2 tablespoons of milk can be mixed. Step 4 : Grease the tray with ghee. Take a little mixture on hand and make a small balls by hand and give the size of cookies to balls then place in tray. maintain distance while Placing cookies In try. Step 5 : Pre Heat Oven to 180d .Place cookie tray in oven and set the oven for 15 minutes. After the time has expired check out the cookies. If the cookies have become light brown by the middle, a little deep brown from the edges, then the cookies are baked. If not, then set the oven for 3-5 minutes. Step 6 : Remove coconut cookies from the oven and Place on cooling rack for cooldown. Step 7 : Similarly, prepare a second tray and bake cookies. Bake all the coconut cookies in the same way and prepare them. Finally : Eggless Coconut Cookies is ready, give you coconut cookies to kids, they will eat fun.